I have CC MNO on on my calendar once a month, and I really look forward to it! Classical Conversations Moms' Night Out is a wonderful chance to relax, get to know the other mamas in our community, learn new ideas, and just have some fun! Our March MNO was so awesome that I just have to share some things we discussed. So, here we go! Renaissance Fair - possibly after Week 6 or at the end of the first semester. This would be very similar to the Geography Fair shared by Walking By The Way, just with History Sentences. Geography Fair - end of the year? Here's what one looks like. Review Parties - these are just really awesome, and what a great way to bond as a community! Sola Gratia Mom shares what this looks like. Summer Planning Session - because planning for CC is so easy, right? Ha! Why not get our mamas together, get to know each other better, and share ideas for Cycle 2! CC seems to be exploding in our area right now, with new campuses sprouting up all over the place. Most of these new ideas for next year could be regional things, getting all of the CCers in North Alabama involved! Now, am I the Regional Director? Nope. Everything I'm mentioning here are just ideas that we mamas came up with over dinner one night. Okay, back to the good stuff. . . This has 27 character traits, Bible memory verses and stories to go along with each, and it's free! We're going to do one a week and see how it goes. I'll keep you updated! Then, during our MNO, we started talking about reading curriculum. One mama brought up Reading Eggs, something I've never heard of before. Remember the Child Training Bible from my last post? Well, all of the mamas at the dinner wanted to do it! So, one of them graciously offered to organize a Make Your CTB get-together this Summer! So excited! Friends, I'm sitting here racking my brain; there were so many great things discussed at the last MNO, and now I can't remember them all. Bummer! If you can't tell, I've been blogging less since the marriage retreat a few weekends ago. I love sharing on here, but it does take time, sometimes lots of time. And right now, God is putting my desire elsewhere. I'm not going anywhere, though, and I'm sure when things start rollin' for Cycle 2 I'll be posting like crazy. But right now I'm enjoying spending my extra time at night (the time when I can do some serious blogging) with the hubs. He's my man, and I want to show him that by spending more time with him and less time looking at a screen. So, that's all I've got for now, and nap time is over (my new preferred time to blog)! Have a great weekend, and I'll be seeing you again really soon. My little girl (6 yrs. 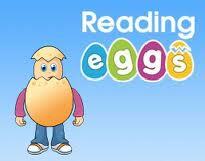 old ) loves Reading Eggs. I agree, it's a great supplement to reading instruction. This is a great idea for me to do at my next community... CC MNO's here I come! Melody - have you seen characterjournal dot com? Incorporates some of the IBLP material. I use it to do character studies with my children. Blessings! Thanks, Amy, for the heads-up! Going to check it out now! I love IBLP's Character Sketches. If you keep your eyes open, you can find them. (I grew up with them so I was on the lookout.) Two volumes were being tossed out at a Christian school and the 3rd volume I just picked up used on amazon for $24. Go used all the way! I did get the 3 coloring books to go with the program from IPLP's site. We are doing 1 character quality a month (each quality has 4 animals to study, for the weeks). I love how they contrast the desirable quality with its opposite. I love how the terms are becoming part of my 4- and 6-yr-old's daily vocabulary! Oooh! That sounds great, Rebekah! And what a deal, too! I've have to keep my eyes out for them used; I really like what I saw when my friends was using them. Blessings to you, friend! We use the Joyful Heart Character Traits weekly. I put them front to back and laminated them, then put them in a book ring. Each week we learn about a new character trait, practice it, and then memorize the verse. So far we've memorized about 10 verses. I HIGHLY recommend them as part of a biblical character trait study. My 2 year old can even memorize the verses.